LBM Journal Article - "Installation Sales II"
Who makes a good candidate for a deck builder subcontractor? First, they should be your best customers for a reason. They should be reliable, responsible and good at what they do from a craftsmanship standpoint. They have to know what theyâ€™re doing. 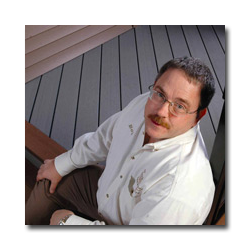 I think if you choose to use a few of your existing deck builder customers as subcontractors for an installed sales program, you should ask them some sort of standardized questions so that they can prove that theyâ€™re competent at what they do. In our case, for my employee deck builders, we have a test that involves simple math such as adding fractions and so on. We ask them how long a 12-foot 2x4 is in inches, and that sort of thing. I also may ask them what their favorite late night television show is? If they answer the 10 p.m. news, I know that theyâ€™re probably going to make it in to work on time. If they pick a talk show that doesnâ€™t come on until 1 a.m., I might be a little concerned about that. Iâ€™ve had a lot of people who call themselves contractors come to me with questions such as â€˜how do I put down diagonal decking?â€™ Or they ask me to figure out their material list for them. I think if a contractor doesnâ€™t know something like that, theyâ€™re not really a contractor. Instead, those people are just a guy trying to build decks until something better comes along. They arenâ€™t professionals, and you shouldnâ€™t be using them to build decks for you.